You’ve got six pics. The top 3 are befores, and their respective afters are below each one. can they acutally control the # of hair follicles with wnt protein? or is it just “random” number of additional follicles form…? » are below each one. » can they acutally control the # of hair follicles with wnt protein? I don’t think they will have that kind of control. What you get is what you get. I assume their final protocol will try to maximize the number of follicles created. » » can they acutally control the # of hair follicles with wnt protein? the guy that runs tressless shown me these a while back…and I was impressed—I had tried to post that here but the link wouldn’t send. It was in my HLT email. perhaps the procedure could be performed a second time for those who didn’t get as much hair as they had hoped for the first time? If epidermal cells can be made to make hair cells, adjuvants hopefully be able to coax the process along to make a decent density and quality of made-hairs. Im hoping they can somehow decrease AR-expression during the time these hairs are made so the new hair is less likely to be sensitive to male hormone over time. 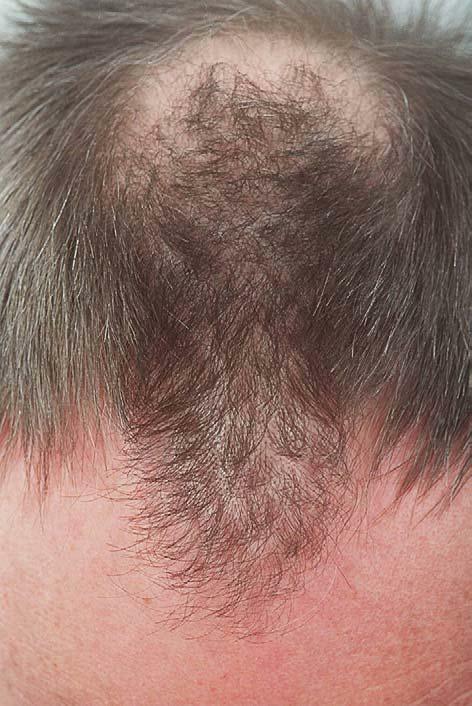 this is the proof that follica works? I have the full study with these pictures. These aren’t before and after pictures. The top and bottom pictures represent different staining techniques. The top row is stained for the KRT17 protein while the bottom row is stained for alkaline phosphatase activity. » row is stained for alkaline phosphatase activity. » » are below each one. I told you guys it he was really Maneless. » » row is stained for alkaline phosphatase activity. » » » are below each one. » I told you guys it he was really Maneless. I am Ernie! I told you all plucking would work! » » » row is stained for alkaline phosphatase activity. » » » » are below each one. » » I told you guys it he was really Maneless. » I am Ernie! I told you all plucking would work! I remember Ernie. Wow, that was so long ago. If I remember right, he did talk about plucking among other things. He spent half his time here defending himself just like maneless. I felt really bad for him… unless unless, Ernie was really one of Maneless’s aliases-- lol. Did Follica try on his people started or are pictures of mice? » Did Follica try on his people started or are pictures of mice? mice of course. it’s always mice. humans will have a serious lawsuit on their hands when mice learn how to speak. Your English is for me not clear enough, I come from Europe. If they want it when people finally test? They wanted to make this summer, or not? » » Did Follica try on his people started or are pictures of mice? » mice of course. it’s always mice. » » » Did Follica try on his people started or are pictures of mice? » » mice of course. it’s always mice. » this is the proof that follica works? I am not impressed with these pics at all. All I saw was red dots, they don’t look anything like hair follicles to me. What am I missing? i think we can assume that’s a mouse or rat, not a human. nice picture, but where is the before picture? and are you saying that this is the result of some kind of follica-like procedure? is it a wounding process? was the wounding done on purpose to regrow hair, or as a result of an injury?